RIO DE JANEIRO, May 17 2013 (IPS) - As Brazil prepares to host several sporting mega-events, human rights abuses and authoritarian interventions by the authorities are going on behind the scenes, favouring major urbanisation projects and stadium remodelling, a study says. The state has forced almost 30,000 families across the country to leave their homes, according to the Comité Popular da Copa e das Olimpíadas (World Cup and Olympics People’s Committee), made up of around 50 social movements, researchers, NGOs and trade unions. The Committee’s report, “Megaeventos e Violações dos Direitos Humanos no Rio de Janeiro” (Mega-events and Human Rights Abuses in Rio de Janeiro), says that in this city alone, which will host the 2016 Olympic Games, 3,000 families have already been displaced from their homes and another 7,800 are facing eviction. The forced displacement of thousands of people and the privatisation of public areas constitute the dark side of Brazil’s sports projects, claims the study which was presented in Rio de Janeiro on Wednesday May 15. Will 2014 World Cup Take Football from Brazil's Masses? Brazil will host the FIFA (International Federation of Association Football) World Cup, which is to be held in 12 cities, in 2014. A dress rehearsal for this will be the ninth FIFA Confederations Cup, a tournament between the top national teams from each continent, from Jun. 15-30 this year. “Our fears are being confirmed. The benefits and social legacy that are so widely trumpeted really hide a dark legacy: an elitist, segregated and unequal society. It is a sad thing to see,” said Orlando Alves dos Santos Jr., a sociologist and urban planner and one of the study coordinators. In the view of dos Santos Jr., a researcher at the Observatório das Metrópoles and the Institute of Urban and Regional Planning and Research at the Federal University of Rio de Janeiro, the multi-million dollar investments carried out under the cloak of preparations for the World Cup and the Olympic Games go beyond the scope of sports facilities and are part of a grand project of urban reform. Interventions in cities, like evictions, are having an immense impact in terms of social exclusion, the report says. “We show that poor people are being relocated outside the areas of investment, which are concentrated in the centre, south and north of Rio de Janeiro. These are areas where real estate has vastly increased in value,” dos Santos Jr. said. He said the rise in housing prices has been largely based on the displacement of the poor towards the outskirts of the city. “All this has been accompanied by a complete lack of information for the evicted families, as well as coercion, the use of violence and human rights abuses. What is happening in the city is extremely serious,” he said. Christopher Gaffney, a U.S. geographer who studies public policies on sports and security for big events, told IPS that evictions and the privatisation of public spaces represented a great failure of democracy in this country of over 195 million people. “The policy is a big step backwards. It represents a reversal of values that eliminates the role of government as the guarantor of essential citizen services, like housing and culture. Forced evictions are a clear violation of the right to housing. Real estate speculation is rife in Rio,” he said. Gaffney, who is also a member of the People’s Committee and a researcher with the Observatório das Metrópoles, said that there is no “coherent practical criterion” being applied in the eviction of thousands of families, and that those affected by the policy complain of a lack of dialogue, transparency and information. “The uncertainty associated with being made homeless creates constant panic, and terror methods are being used to expel these people from their communities at any price,” he said. “There have been cases where families have been told they must vacate their homes, without any time for them to collect their belongings; and others where their eviction has been negotiated right alongside the bulldozers that were ready to demolish the houses. This is enormous psychological pressure,” he said. Only a few families received a decent house after their eviction, Gaffney said. The authorities provide indemnities for expropriation that are not enough to buy a new house, or they put families into housing plans that have requirements that many of them cannot meet, such as that the head of household must have a formal sector job and a bank account. One of the main criticisms is the privatisation of public spaces worth millions of dollars. 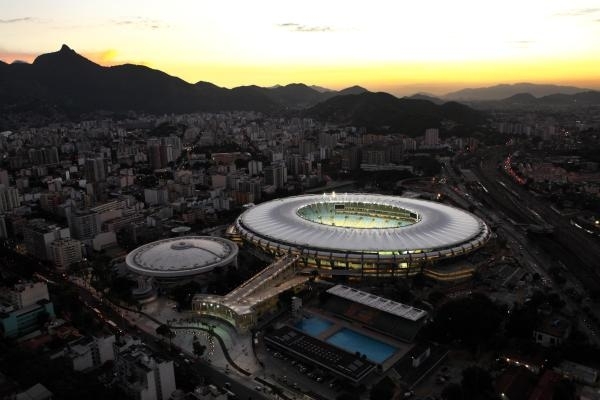 In Rio de Janeiro, sporting facilities like the legendary Maracaná stadium are being renovated, as well as infrastructure and transport facilities, and urban remodelling projects have mushroomed. The initial budget for investment in the city for the upcoming events has risen by 95 percent, from 1.1 billion dollars to 2.1 billion. Construction and renovation of stadiums represent nearly 25 percent of this total. Maracaná stadium, where the finals of the 2014 World Cup will be played and where the opening ceremony for the Olympic Games will be held two years later, is the focus of controversy because it has been granted in concession to a private consortium for 35 years. The cost of the works undertaken was 600 million dollars, compared with the 370 million dollars initially envisaged. The concession of the stadium into private hands for the first time led the public prosecutor’s office to launch an investigation into the state’s investments for the sporting mega-events. In Gaffney’s view, the sporting facilities will be transformed from cultural spaces into consumption centres. “Stadiums are the platforms where local culture is expressed in football. It would be virtually cultural assassination to substitute faithful, traditional fans with ‘clients’ or higher class consumers,” he said. Moreover, the private initiative will also lead to the demolition of a major aquatic park, a public school, an athletics track and a prison, in order to build two multi-storey car parks for 2,000 vehicles, a heliport, a shopping mall and a football museum. “This shows the vulnerability of Brazilian democracy, even as Brazil is trying to build stronger institutions. The FIFA World Cup and the Olympic Games are accelerating anti-democratic processes,” Gaffney said. Dos Santos Jr. said that society has taken the multi-million dollar renovation passively, and that construction of the Maracaná complex “will bring about the destruction of multi-purpose facilities that were used to practise other sports. “It will only be a space for show and a commercial centre. Athletes in other disciplines will not have a place to train. And the entrance tickets will be too expensive,” he said. The People’s Committee intends to present its study to public authorities, FIFA, the International Olympic Committee and international organisations such as the United Nations through its Special Rapporteur on the Right to Adequate Housing.